Don’t struggle with dry shade or deer! 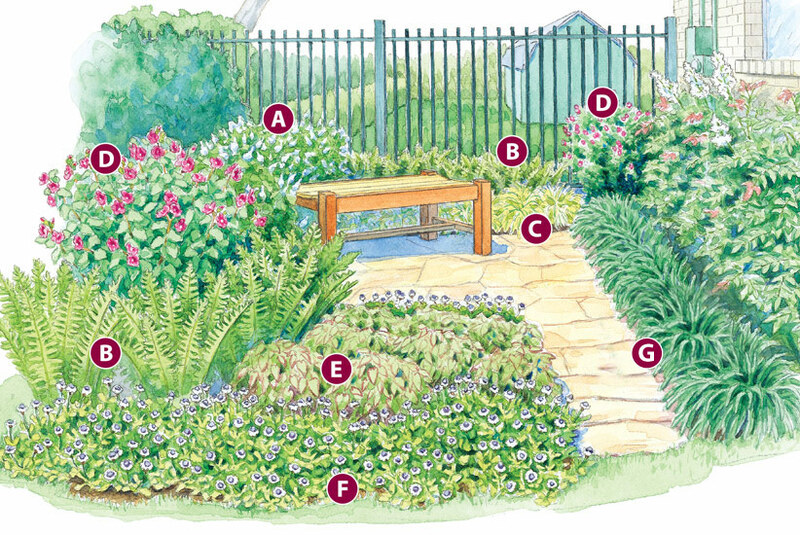 This garden design will solve your shade garden woes. 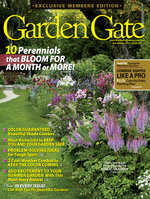 Have a shady, dry area in your yard? You could always just continue to grow grass there, but if the spot only gets a few hours of sun each day, even turf will struggle. 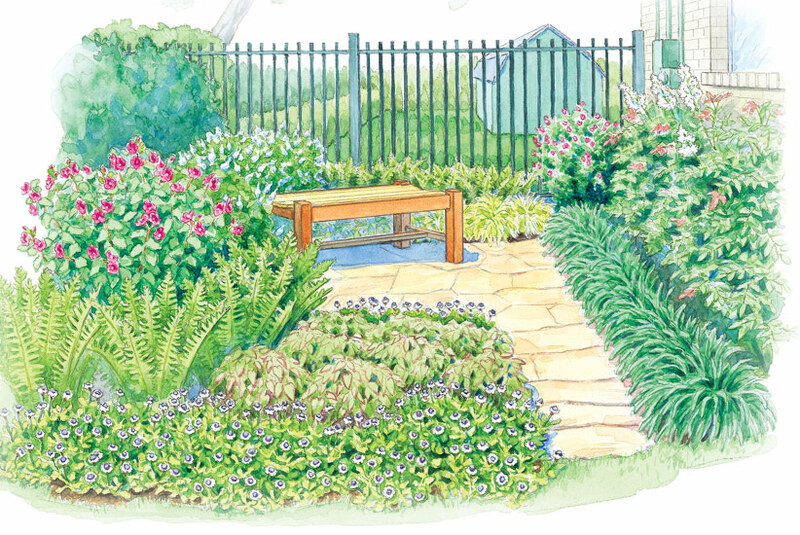 Check out this garden makeover and our free garden plan to help you find a stunning solution to your tough shady conditions. Do you have a problem with deer, too? 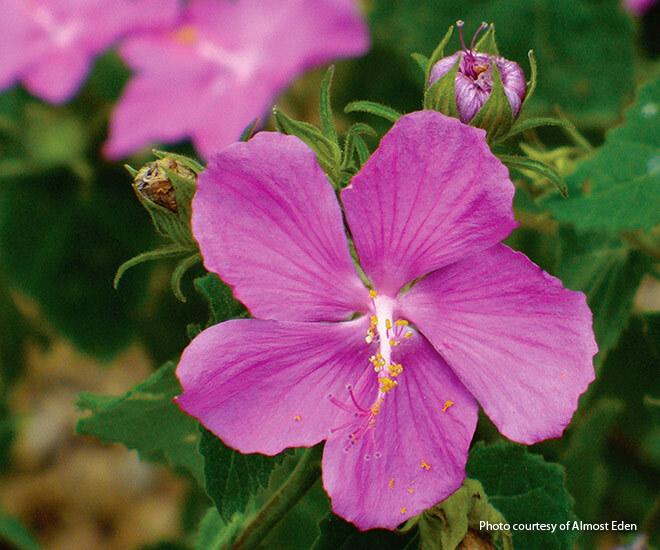 These plants can handle dryness, shade and even resist nibbling deer! 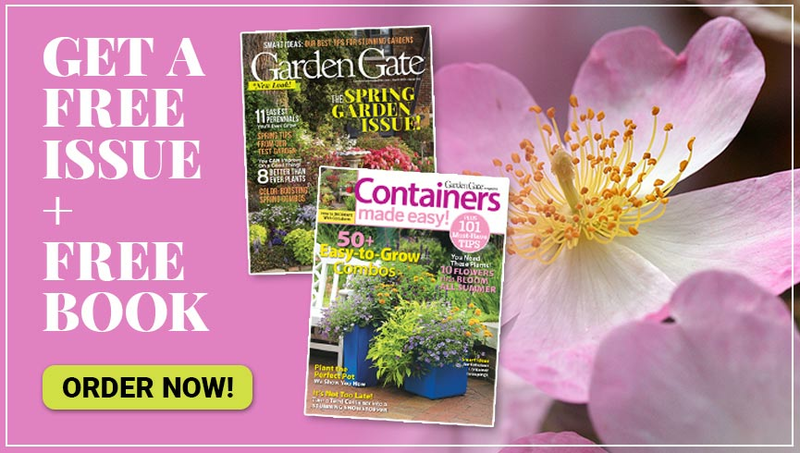 Scroll on to learn more about the design, then click through the slideshow below for details about each plant. 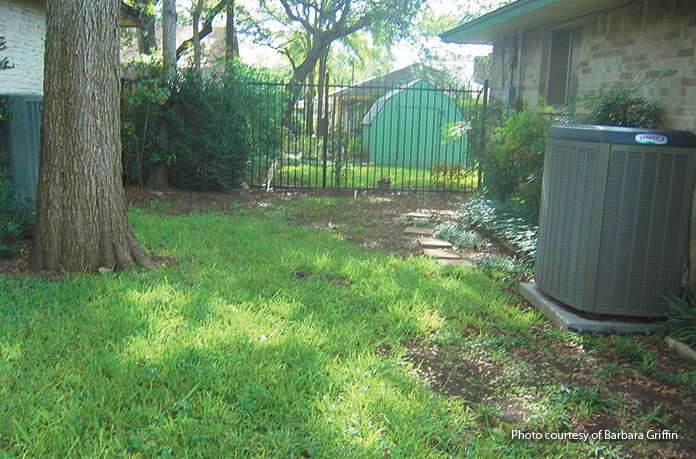 You can see in this zone 8 Austin, Texas, garden that the mix of shade and extra-dry conditions make for unhappy turf. Add to that some hungry deer, and it’s almost insurmountable — but not quite! This 12×14-ft area on the side of the house is a dead end. There’s a fence but no gate, so it doesn’t open to the backyard. Other than accessing the water spigot, there’s no reason to go there. 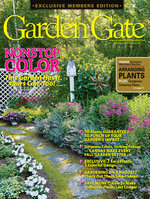 All of the plants in this makeover can handle the challenging conditions. 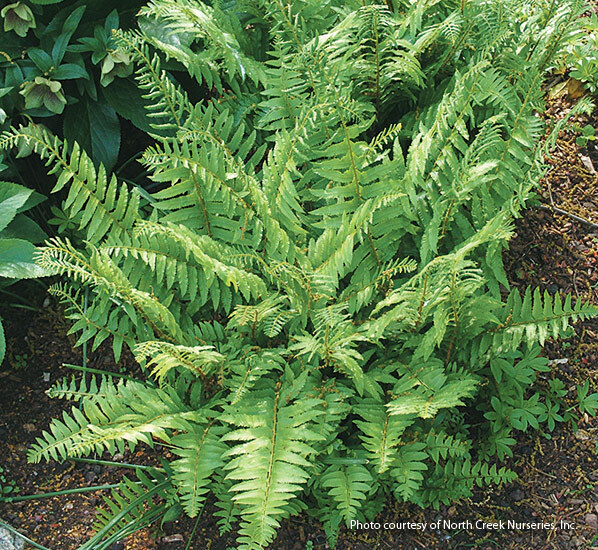 Rock rose and Turk’s cap provide some privacy, while Christmas fern allows a view of the backyard. 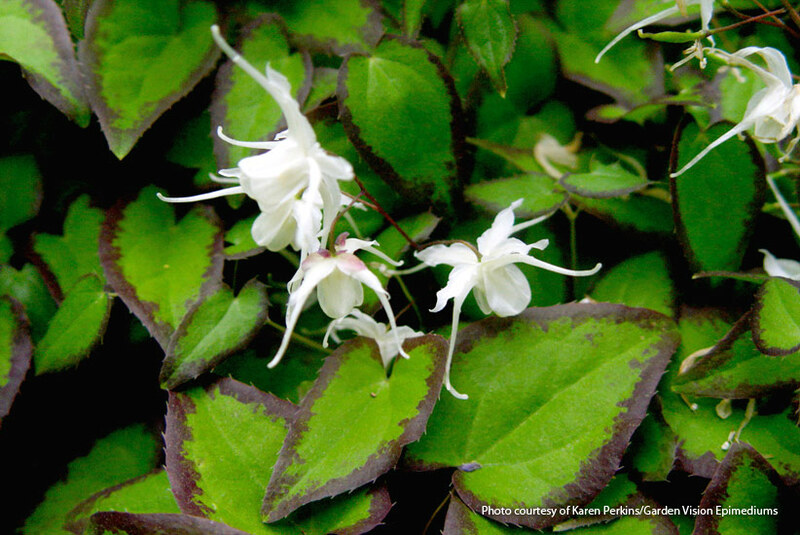 Fill in the rest of the area with epimedium, frogfruit and lilyturf — they’re all tough ground covers. Here are a few strategies you can use when rain is scarce and you’re unable to water very often. 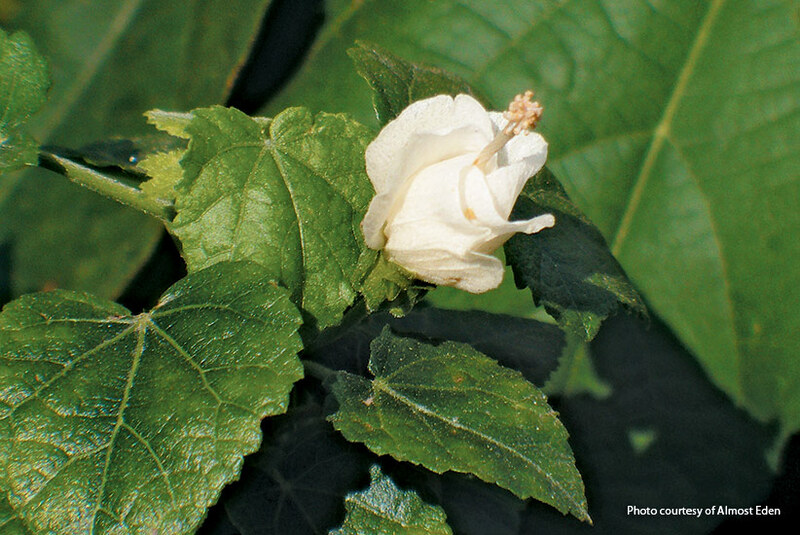 Use native plants — they are naturally adapted to soil and weather conditions in your area. Wood chip mulch and compost help keep soil cool and moist. They also improve soil structure and add nutrients as they break down. 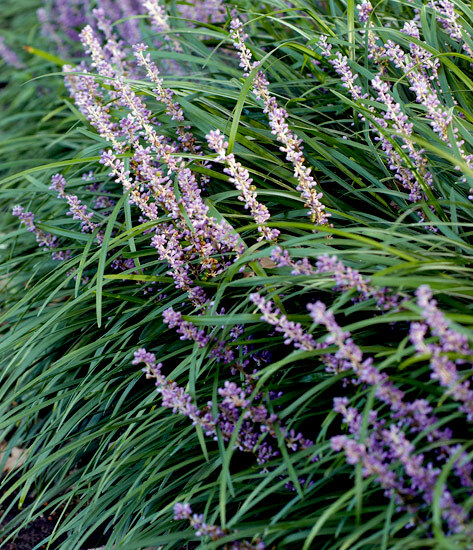 Even drought-tolerant plants need help the first year to establish a strong root system. 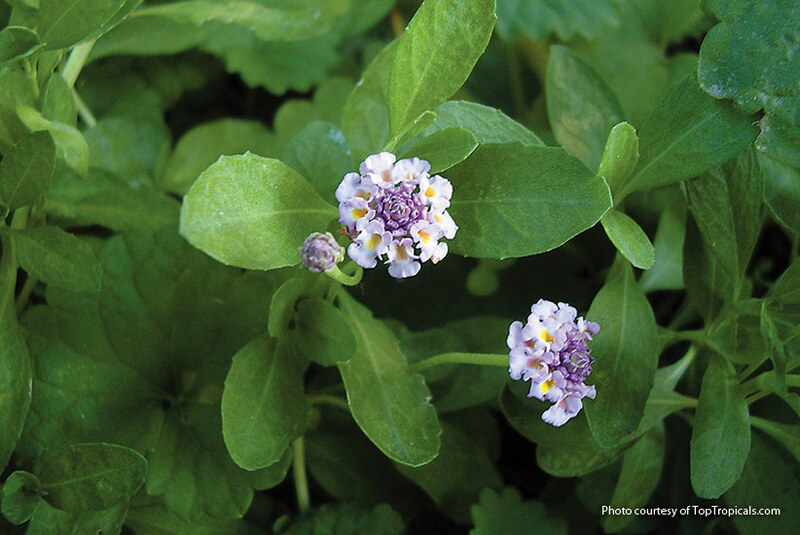 Water plants deeply and less frequently, about two or three times a week, so the soil feels moist to the touch about 3 inches deep. This encourages roots to grow down into the soil. 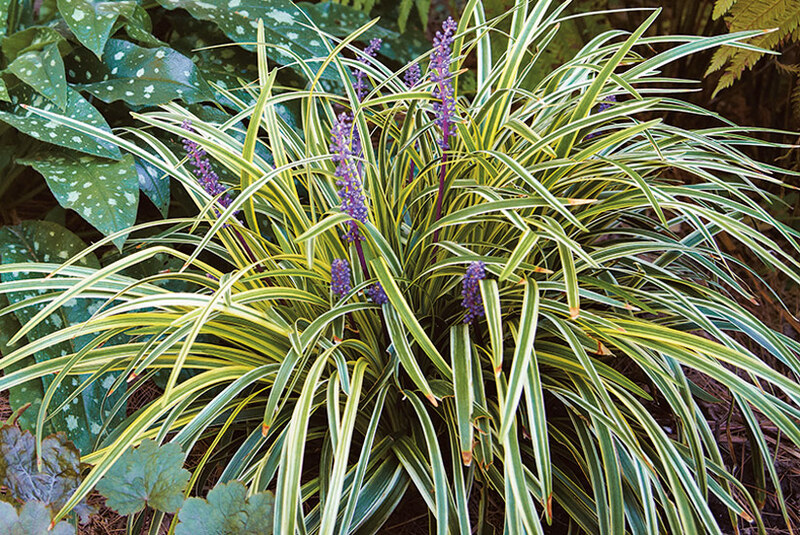 After a year or two, plants will need less attention, and you can kick back and enjoy the transformation from barren to beautiful.